January started off with a small but helpful studio enhancement - improved lighting. 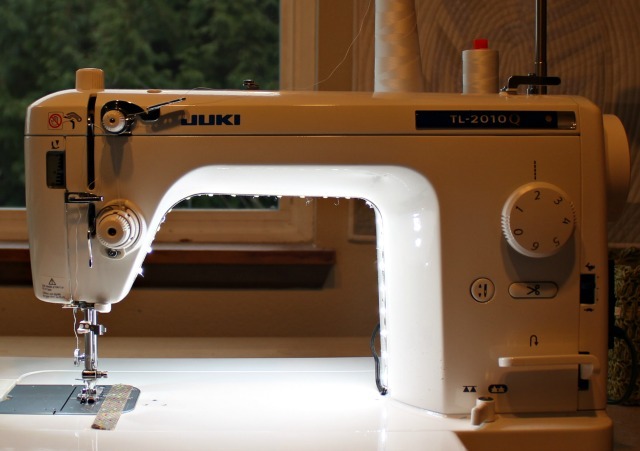 Specifically, the lighting right in the space where the sewing happens, thanks to a Sewing Machine LED Lighting Kit, which I'd seen others rave about, and you can just add me to that list. As advertised, it's very quick and easy to install, and comes with everything you need. The string of LEDs is 24.5", which was more than generous for my JUKI, and the excess was easy to snip off. Of course, the real test happens once you turn the switch on, and I found noticeable improvement. I do sew next to a window, so I use as needed, but I'm really pleased for the option. An expansion pack is available, so you can make use of the length of lights you snip off on a second machine, if that applies to you. At any rate, for old eyes like mine, this little addition helps alot. I received a set for Christmas from my aunt and I was surprised how easy it was to install. Great benefit for my dark sewing room. Is this ever neat. Will keep in mind. Thank you for sharing! Wow! I am going to keep this in mind, Debbie. Would really help to have on my vintage machines. Thanks for sharing! Serendipity, I was quilting yesterday and thinking I needed some extra lighting on my machine, this looks as if it would be perfect, I will have to investigate an Australian source. 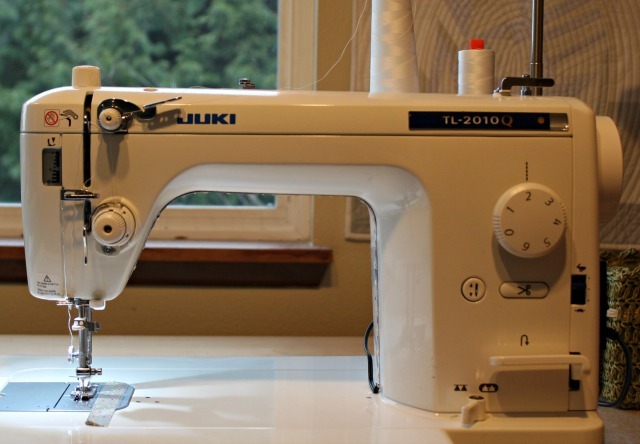 It's a great addition to your sewing machine, isn't it? Gives you more opportunity to sew and quilt into the nighttime hours. I have one too, but it's not the same brand. If I ever need another, I will be sure to compare prices of the two brands. Oh wow!! Thanks for posting about this. I wrote a post about how the fabric of curtains I was making bunched up and actually burned a hole in it when it touched a lamp I was using behind my machine to give more light to my machine platform. I've seen these too and it's nice to know they really are the 'bee's knee's'!! I have seen these before, albeit not in person, and wondered. Thanks for reviewing them. I've been using this light strip on my Janome for a couple years and love it! Wow! I have not seen the his before! Thanks! I use treadles, do you think the lights can be taken off, once applied, without damaging the finish? Das ist ja die Idee um ältere Maschinchen aufzuhellen! Thanks!!! I bought the "extender" kit so I could use it on two machines. Love it but...the light strip drops off after the machine has been on for more than 1/2 hour. I need some suggestions on adhesives other than double stick tape. I have the same set up, including the Juki, and love my LED lights, but the place where the light strip is soldered to the wires to the switch broke. The vendors sent a replacement free of charge, and I covered the new strip at that point with some plastic tape to protect the join. Thanks Ellen, Love the lights, they remain very much intact it's just that the light strip just won't stay stuck. Ah yes! Got mine three years ago and don't know HOW I lived without them! I actually used these as a demo at a guild education minutes and everyone loved them! Bought mine straight from the vendor and then, my guild joined in and we bought a whole roll plus extra switches and members were able to buy by the inch. 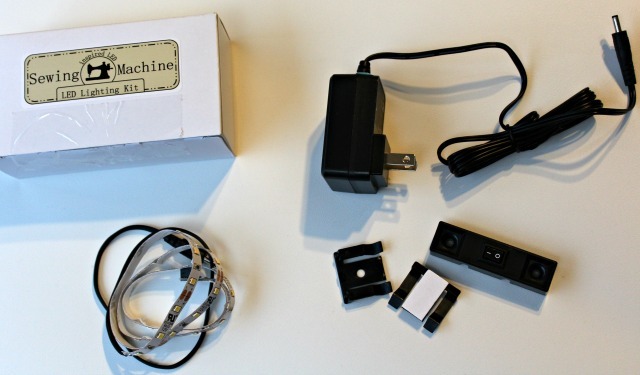 Also check http://ireviewable.com/reliable-700sb-portable-blindstitch-sewing-machine-review/ as well.